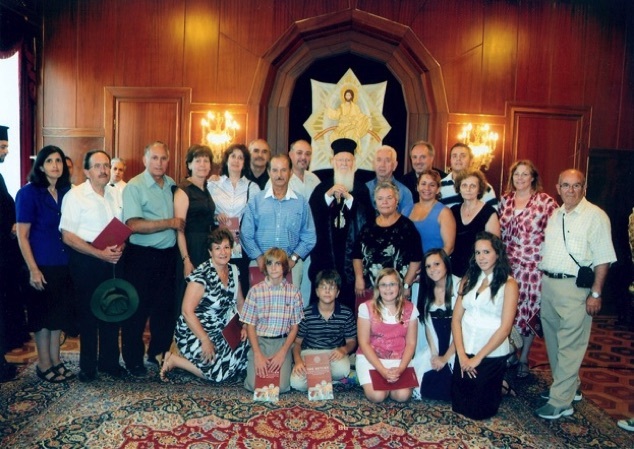 The formation of the Greek Orthodox Community was uppermost in the hopes and dreams of many Greek Orthodox families who settled in Cumberland County more than 70 years ago. They had brought their faith and strong religious convictions to worship Jesus Christ in this new land, and their hope to build their church here. As a matter of fact, the first organization of the Hellenic community was the American Hellenic Educational Progressive Association (AHEPA). They organized in 1928 in Millville and their first president was Peter Blackpool.It was in 1973 the Greek Orthodox Community met at the Holy Trinity Russian Orthodox Church on Landis Avenue in Vineland, NJ. At that time temporary officers were elected: Nick Papadopoulos- President, Anthony Moniodis-Treasurer, Helen G. Mougakos-Secretary. 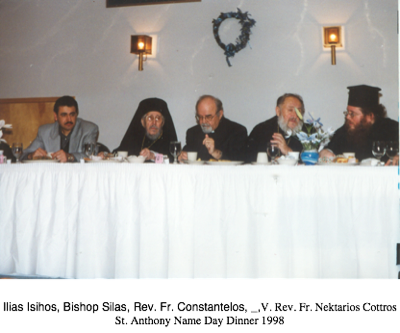 Prior to establishing their own church, the Greek Orthodox community met with Dr. Demetrios J. Constantelos for religious and organizational advice on requirements for obtaining sanction from the Greek Orthodox Archiocese of North and South America. 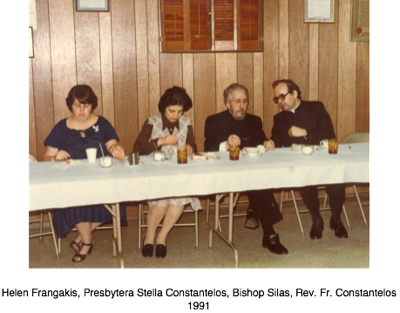 In 1973 under the direction of Mary Moniodis, the Greek School was offered at the Millville Diner and Fr. Ninnis was their first Greek School Teacher. It was in 1974 Greek School was taught by Mr. Panagiotis Kaskabas at Vineland High School. The first worship service was Sunday, May 5, 1974 at the Vineland YMCA. In September 1974, Rev. Dr. Constantelos was officially appointed by the Greek Orthodox Archdiocese as Interim Pastor. 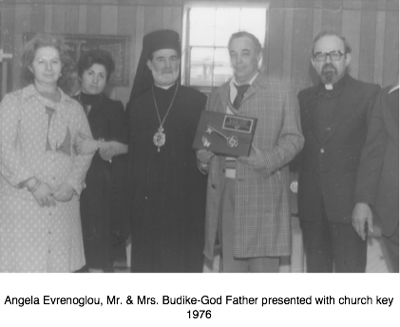 Father Constantelos served the Greek Orthodox Community of St. Anthony for more than 9 years. 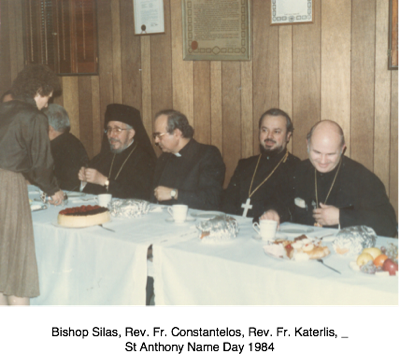 On January 22, 1977, The Greek Orthodox Church of Saint Anthony celebrated its Name Day and officially opened its doors at its current location 430 West Wheat Road in Vineland, NJ for its dedication. The Church was named St. Anthony in honor of Mrs. Katina Andreadis blesssed’ late son Anthony Argiropoulos. Mrs. Andreadis blessed the church with an offering of land. 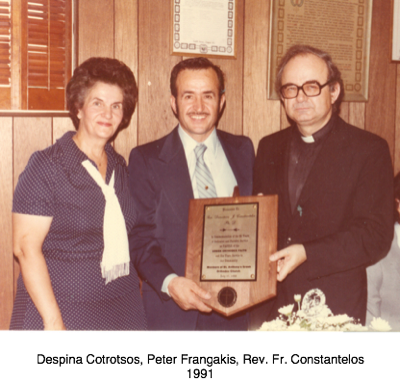 St. Anthony continued to prosper during the years of Father Spyrou who served the community in 1983 and Fr. Joseph Antonakakis during 1984 to 1991. Fr. 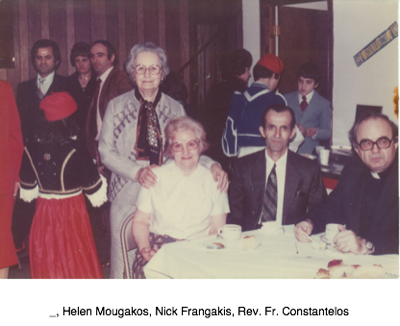 Christos Pappas and is family moved to Vineland in May of 1991 and after serving the Parish for 10 years, moved back to Greece, his native land. From 2001 until 2004, Fr. Gerasimos Rassias served the Parish on a part-time basis. Fr. Chrystom Maniudakis arrived with his wife in 2004. He served the Parish for 1 1⁄2 years before becoming ill with a disease that would eventually take his life. Fr. R. Nicholas Rafael II had been our full-time priest from December of 2006 to January 2011. 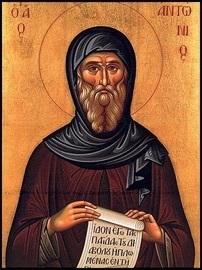 His Eminence Metropolitan Evangelos had appointed Rev. Fr. Dr. Sokratis Dimitriadis to serve our community from January 1, 2011 until November 1, 2013. In mid November of 2013, Father Paul began serving on week-ends at the Church of Saint Anthony in Vineland, N.J., and on June 1st of 2014 with the Blessing of His Eminence, Metropolitan Evangelos of New Jersey, upon the request of the Saint Anthony’s Community, Father Paul was assigned permanently to the Community. Fr. Apostolos (Paul) Panos faithfully served our community until February 1, 2017 and at that time His Eminence Metropolitan Evangelos of New Jersey appointed Fr. Dean Photos to our beloved parish. Fr. Dean Photos and Presvytera Georget served our community with much love and zeal until they went back to Chicago where they were from November of 2018. 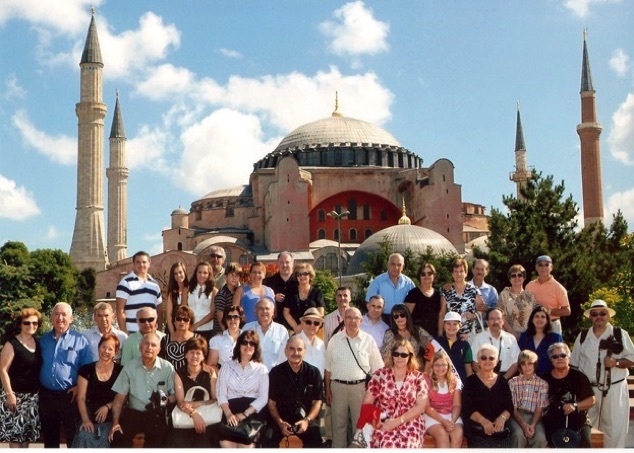 We are a Greek-American Orthodox community of 120 paid stewards at the Greek Orthodox Church of St Anthony. We have undertaken a 3-phase expansion to accommodate our community and parishioners. Phase 1- Bell Tower/Elevator expansion (cost:$193,000, paid in full) to accommodate our senior citizens and handicapped parishioners to be able to attend church services. (Ribbon-cutting ceremony took place Sunday June 28, 2009). Phase 2- Multipurpose Gym to accommodate our youth, youth programs and classrooms. Phase 3-Remodel church, to expand the church to accommodate our Parishioners and Sunday School Program. A 500 pound bell hangs from the newly built elevator/bell tower at the Greek Orthodox Church of St Anthony. The church is undergoing a massive expansion effort that includes incorporating an elevator at the base of the tower to accommodate our senior citizens. This is phase 1 of a 3-phase expansion. Phase 1 was completed by June 28, 2009. 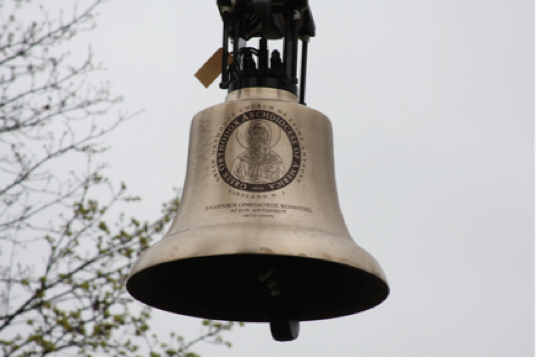 Placement of the bell put the church to a completion on the first phase of a 3-part $2.3 million expansion project. There was a ribbon cutting ceremony Sunday June 28, 2009 at 12 noon and lunch was served immediately following the ceremony at our community center. The church received approval from the Vineland Zoning Board to build the 16,000 square feet multipurpose gym as well as expand the church to accommodate 100 more parishioners and add 6 new classrooms for Greek and Sunday School children. St. Anthony’s is currently underway with its fundraising efforts to raise enough money to build Phase 2 & 3.For more information about this expansion and how you can donate and be a part of our dream please call Dr. Paul Mastoridis, Project Director at 847-899-9334.